A TOUCH ABOVE THE REST. Your chance to claim a "rare for area" FOUR bedroom and attached garage townhouse in the premier Tuscany resort community. 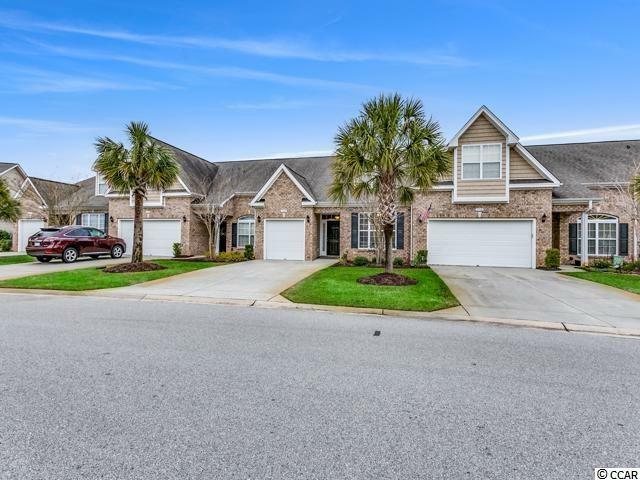 Start living it up with natural GAS, lawn maintenance and impeccable amenities that make Tuscany the most desirable place to live on the Grand Strand. All for VERY low HOA fees. 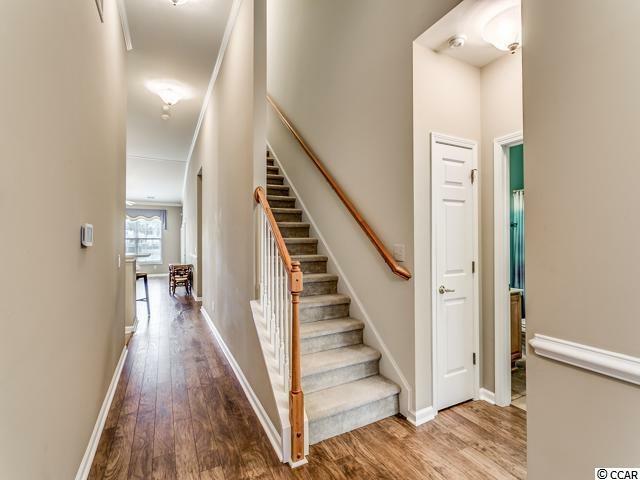 As you enter the hallway of this 2000 heated sq ft, two story townhouse, you are greeted with elegant engineered hardwood flooring and a tasteful neutral palette of soft wall colors. Seamlessly flowing into the family room, standing under the vast vaulted ceilings, you will not fail to notice the abundance of natural light in this home. Adorned with crown molding and chair (Dado) rail features this townhouse as a class in its own with many upgrades. The open concept kitchen featuring a 16' breakfast bar, will not fail to impress. 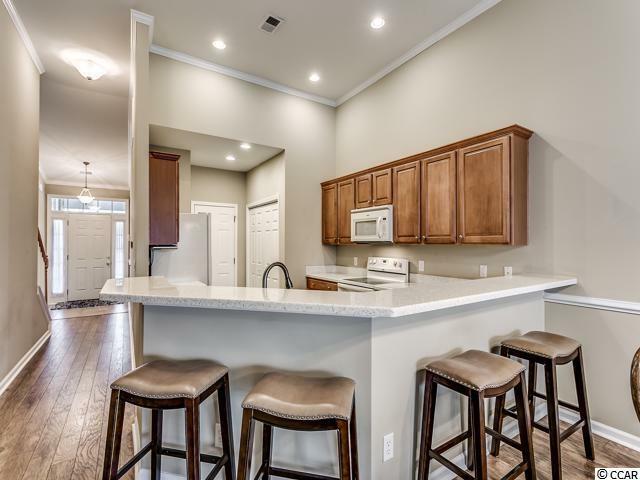 Looking over the family room and dinning area are strong, hygienic CORIAN countertops with a double sink, complementing ample sized 42" cabinets with crown molding finish. Off the kitchen is the pantry and Whirlpool washer and dryer. Off the family room, French doors with Plantation shutters open onto a HUGE 15' by 11' tiled, stand out feature, screened porch which can also be accessed through French doors from the downstairs Master. Genuine EZE BREEZE window screens with cordless pull down shades look out on the ENDLESS panoramic Lake Views, simply lulling you into a state of relaxation. Outside a 14' by 6' grilling patio to entertain friends awaits to enjoy. The roomy ground floor 13' by 14' Master Bedroom boasts "HIS & HER" walk in closets. The en suite Master bathroom features double sinks and a unique custom tiled, glass sliding door shower. Other downstairs features include a guest bedroom, bathroom, one car garage with house entry and pull down ladder storage attic. The carpeted upstairs area offers MORE pull down ladder attic space, two more spacious bedroom connected by a "Jack and Jill" full bathroom. Consider that this home is cooled by a nearly new Lennox HVAC system with "i comfort" WiFi thermostat, and secured by a "brinks" security system, its understandable this townhouse will be on the top of every buyers list, so call your agent to book a showing TODAY before it is to late! Tuscany's impressive Amenities Center includes a huge swimming pool, lazy river, showers, lighted tennis court, 24 seat media center, fitness center, game room, picnic area, outside grill/ BBQ and outdoor trails. The townhouse is right next door to shopping centers, grocery stores and restaurants. 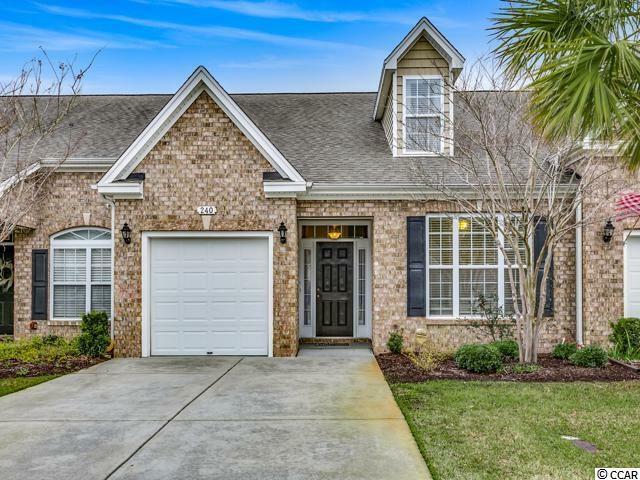 Also unbelievably access to Coastal Carolina College, Golf Academy, beaches, airport and more. A message from the owner - "We have loved our time here, the best memories have been sitting with my husband out in the enclosed porch in the evening, staring out at the moon reflecting off the lake, priceless!" Square footage is approximate and not guaranteed. Buyer is responsible fro verification.